When you are choosing the right networking events for you there is an enormous choice. This includes both structured and unstructured networking. Unstructured networking tends to be an event where the organiser's main business is some other service. Many business owners and professionals find these a daunting experience. 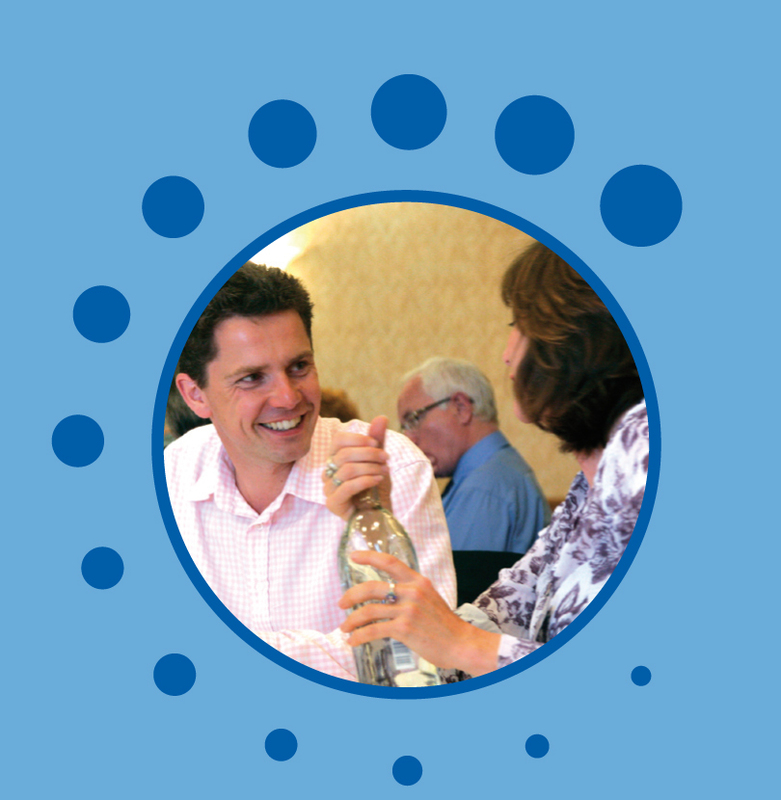 Business Networking membership organisations usually organise more structured events. Some of these are closed and some are open. So which approach suits you? I have had several conversations recently on the subject of different types and styles of networking. One of these was written up by Mark Lee for an article on accountingweb on the subject of open and closed networking. I was contrasting the differing approaches in many structured networking groups between open and closed groups. Mark followed this up with another article from Tim Johnson of 4Networking. Tim explains more about open and closed structured networking here. Closed groups have a rule of only one member per business category. Others (like NRG) are open to more people in the same category. My experience is that an open collaborative approach like this suits many business owners and professionals more than a closed one. To find what works for you it is always best to try some. You could start by asking your trusted contacts where they network. 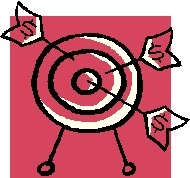 Is your target market market difficult to explain? 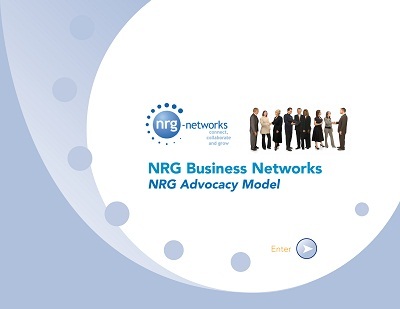 In the NRG Business networking System we stress the importance of identifying your target market. 1. People can only introduce you to the right people if they know who you want. 2. You can concentrate your networking efforts in building the right relationships. When I ask people to identify their target market a common answer is "I don't really have a target market. I deal with all sorts of different business types and sizes". Most of the time this is simply a misunderstanding of what target market really means. People often think it means a particular type of business in a particular industry. You may have heard the term 'vertical market' from marketing types to describe this. Many small business owners and professionals have a more 'horizontal market' in that they provide services across different industries and business types. Their target market will be defined by the particular need or problem that their customers have. I spoke with someone last week in this situation. She is a management accountant and works with a diverse group of business owners as clients. The thing they have in common is that they run successful business, but have no real understanding of the financial side of things. This often leads to cash flow problems and short term reactive decision making. She makes sure they adopt systems to give the current financial information about their business. This helps them make the right decisions and plan for the future. These are the things that identify her target market. If you struggle to explain your target market then start with your existing clients and see what common needs or problems they have that they engage you to help with. Nigel Temple of the Marketing Compass has a helpful phrase in this regard. He talks about a market segment as being a group of people with shared needs. The home of the business networking blog was on blogger until early this year. The full 5 year archive of posts with business networking tips, hints, advice and stories is now here. 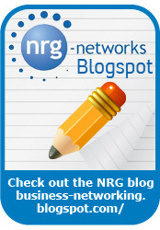 In case you missed any of them below are links to the 10 most popular posts on the business networking blog in 2010. 3. Are you talking enough with the people you already know? 4. Is there a right time to leave a networking group? 7. Do you nurture your network like a good garden? 8. Why does Word of Mouth Marketing work so well? 9. Are you networking with the right people? 10. Are you building strong ties with your network? In a recent conversation with Sarah Owen of the Referral institute I asked her if she could share some networking advice. Sarah and her colleagues are experts in training people to gain business through their network from referals. 1. What is your approach to networking? i. How can I help others? ii. How can I best honour the event? iii. What are my personal goals. 2. How much experience do you have of formal networking? I started formally networking in 1984 in an employed role at Mappin and Webb – the Queen’s Silversmiths. 3. What advice would you have for someone new to networking? ii. Never do it alone! Always take someone with you or attend with someone you know – it is more fun! vii. Don’t sell – no one came to buy! Thanks to Sarah for sharing and I would add that someone new may well want to seek out professional training from experts like Sarah and her colleagues at www.referralinstitute.co.uk. iii. What are my personal goals." "I started formally networking in 1984 in an employed role at Mappin and Webb – the Queen’s Silversmiths." x. Follow up and track everything so in one year’s time you will have a clear idea of where to network and with whom." I have a couple of saved searches in Google & Twitter on the subject of business networking. Many of the daily results are for training sessions or webinars on how to get more from your networking. The vast majority of these are focused on crafting the perfect elevator pitch, getting more leads, selling more or becoming a social media expert. It is all about push and completely misses how successful networking really works. I was chatting about this and other stuff recently with Bernie Mitchell of TCS Digital World. I met Bernie a few years ago through networking and he shared his frustrations about the way many people are encouraged to go around passing out business cards like confetti and delivering pitches rather than engaging in conversations. Precisely the wrong approach to successful networking. "It is about creating attraction without letting off fireworks! Good networks build community, encourage authenticity and facilitate connectedness. Building community through fostering the right spirit and allowing people to express themselves in a peer to peer environment. Encouraging authenticity through communicating honestly and without front or putting on an act. Facilitating connectedness by providing the structure for people to really make the effort to get connected." He also said the people he sees that really get results often appear really quiet for 6 months. The thing that they have done is taken the time to watch, listen and learn first. They have known how to fit in, build relationships, help others first and become attractive. Paraphrasing Stephen Covey from his 7 habits they have sought to understand others first before attempting to be understood! I have just returned from a week skiing in the French Alps on what is now the annual #Netski trip organised by Warren Cass www.warrencass.com. The party was made up of 20 business people who have become friends through organised networking. This year they included leaders from 4networking www.4networking.biz, Business-Scene www.business-scene.com, Directors Centre http://www.directorscentre.co.uk, Ecademy www.ecademy.com, Tax Advice Network www.taxadvicenetwork.co.uk and NRG-networks www.nrg-networks.com. In the organised networks we run we help business owners, professionals and entrepreneurs to develop business through networking. This works if you focus on building relationships first with the right people. Do the right things and business follows. Nobody on the skiing trip was selling to each other yet business was done and referred. Relationships first, business second. I overheard a conversation between one of our party and someone else on a lift. The other person had asked what organised business networking was all about. After the reply he said, "I see, you're in the friends making business." Friends are people you know well and like. They show loyalty, affection and offer help and support. All things that you need in running your business! In networking you will often be looking for a referral from someone you have not done business with. This can be a problem as the person may well need some experience of what you do first. In this short podcast I talk about how you can share your expertise and build the trust needed for someone to recommend you. 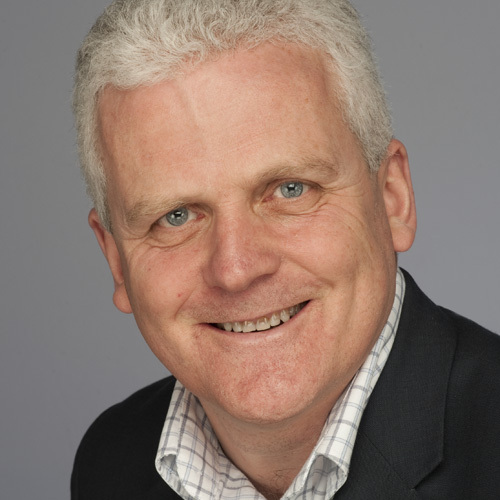 Last week I wrote a guest blog for Warren Cass, 'Networking is not a numbers game'. In a reply on Twitter, Roberta Ward summed it up quite neatly, "No, its a people game!". In the article I wrote about how some people approach networking as a numbers game. Meeting as many different people as possible at different events. Or collecting the maximum number of connections or friends on social networking websites. The people who really make networking work for them and their business build strong relationships with a smaller number of people. They don't need to go out and meet new people all the time. Their introductions to new people and opportunities come via this group. Constantly meeting new people all the time leaves no time for relationship building. It's like starting from scratch every time or the Networking equivalent of Groundhog Day! In my last blog, 'How to make networking really work in business', I mentioned some discussions on whether networking is an effective business development strategy. As I wrote there are many people who fail to make networking productive because all they do is attend events. I am constantly amazed that many people engage in no or very little follow up after meeting. I am sure that most people have the best intentions, but their attention is easily diverted by the next activity. One simple way of doing more follow up is to put it in your diary. 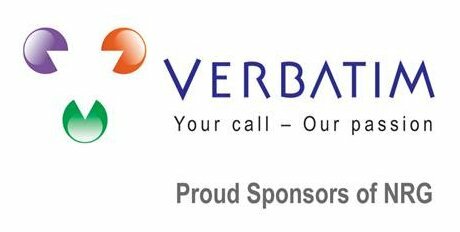 If you are going to be attending a networking meeting set aside time in your diary later on or the following day. I went to a breakfast meeting of the Carrington Club last week. The founder, Jonathan Rose, said in his introduction "what you get out of networking depends entirely on the effort you put in". Following up is a crucial part of putting that effort in.